Meet Alonso Guillén: The Heroic ‘Dreamer’ Who Died Volunteering to Help Victims of Hurricane Harvey. 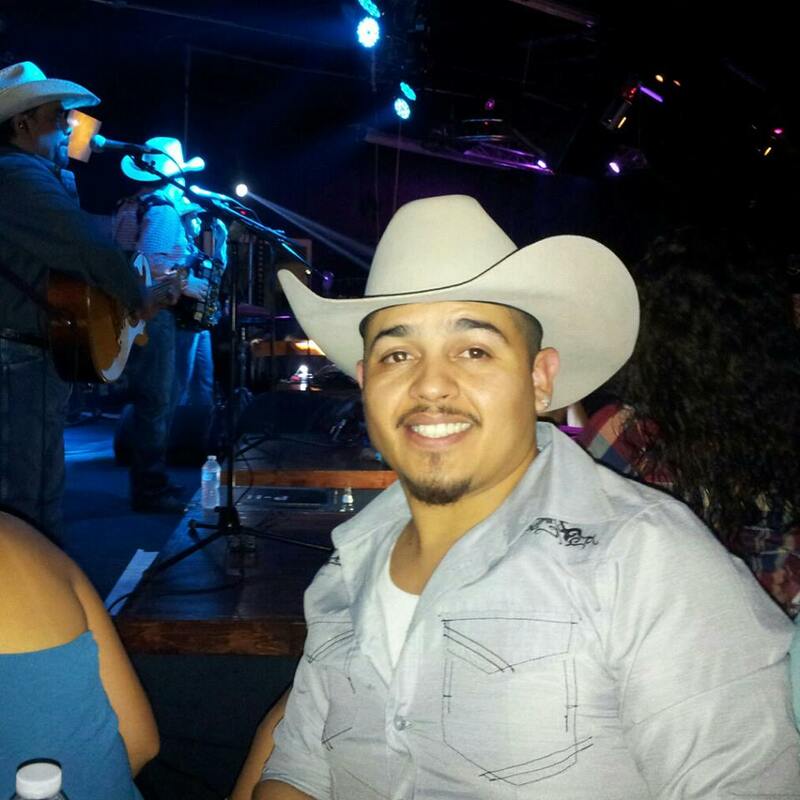 The body of Alonso Guillén, a missing 31-year-old Mexican immigrant living in Texas under the DACA program, was found on Sunday, September 3, in the floodwaters and wreckage left behind by Hurricane Harvey that week in Spring, Texas. Just a few days earlier, on Wednesday, August 29, Guillén and a group of his friends set out for Spring, Texas from their hometown of Lufkin with a borrowed boat to search for stranded survivors of the dangerous Category 4 Hurricane. Although his family pleaded with him not to go and warned that it was far too dangerous to make the trip, Guillén and his friends went anyway, insisting that they wanted to help people in need. Upon arriving, using walkie-talkie apps on their phones, Alonso and his friends went out on boats to search for and rescue flood victims, despite the danger of the high waters and strong winds. Later that night, as the group set out to rescue survivors from an apartment complex, their boat crashed into the Interstate 45 Bridge, throwing Guillén and his friend, Tomás Carreón, 25, into the rushing floodwaters of Cypress Creek. Luis Ortega, 22, the third man in the boat, was later found alive and clinging to a tree1. Rescuers found Carreón’s body around 1 p.m. on Friday, September 1, as floodwaters began to recede2. Carreón and Guillén, both Mexican immigrants, are among the estimated 60 people who were killed as a result of the hurricane. This story has resonated strongly with immigrant communities and fellow ‘dreamers’ in Texas and around the country. Guillén was brought to Lufkin, Texas with his mother when he was only 15, and was protected under the Obama administration’s Deferred Action for Childhood Arrivals (DACA) program—protecting him from the threat of deportation, and giving him the opportunity to create a life for himself in the United States. Carreón was also living under DACA upon his arrival in Texas at age 8, but eventually became a legal citizen when he got married3. He was a father to 3 children. Alonso Guillén, also known as ‘DJ Ocho’ by friends and family, was a radio host on a local radio station in Lufkin, Texas, a town of 35,000 with a large concentration of Hispanic immigrants. Guillén was known throughout the Lufkin community for his kindness and generosity. As soon as it became apparent that Hurricane Harvey was a serious threat, he made arrangements to head to Houston and volunteer in rescue missions. Even his last few Facebook posts were dedicated to spreading information about how to help victims of the hurricane. The story of Guillén’s heroic death has made news nationwide, especially following the announcement by President Trump that the DACA program would be cancelled in six months’ time. This announcement has caused widespread backlash throughout the country, as this change could potentially result in the forced deportation of nearly 800,000 immigrants, or ‘dreamers’, who have lived in the country since they were young children. The proposal to end DACA comes as just a stage in the Trump Administration’s plans for immigration reform and increased border protection. The Trump Administration made the announcement on Tuesday, September 5—just 6 days after ‘dreamer’ Alonso Guillén set out to rescue hurricane victims. Guillén’s heroic death became hugely symbolic for other immigrants and ‘dreamers’ living in the United States, who argue that this policy change is unsympathetic and cruel. Even Republican House Speaker Paul Ryan at first argued that it is unfair for these ‘dreamers’ to be punished for the actions of their parents3. Alonso’s mother, Rita Ruiz de Guillén, still lives in Mexico and initially thought that she would be unable to cross the border into the United States to attend her son’s funeral. But, on the night of September 4, U.S. Customs and Border Protection announced that they would grant her with a temporary humanitarian visa to allow her entry into the country for the funeral. Rita, who is still in the application process for legal citizenship in the U.S., has told reporters that she is heartbroken at the loss of her son. Attached are a few links through which you can donate money, food, or blood to the victims and recovery effort of Hurricane Harvey. 1. Molly Hennessy-Fiske, “‘Dreamer’ dies trying to rescue Harvey flood victims,” Los Angeles Times. 4 September, 2017. http://www.latimes.com/nation/la-na-harvey-dreamer-20170904-story.html (Accessed 19 September 2017). 2. Susan Carroll, Lomi Kriel, “Missing volunteer pulled from Cypress Creek,” The Houston Chronicle. 5 September 2017. http://www.chron.com/news/houston-texas/article/Missing-volunteer-pulled-from-Cypress-Creek-12170986.php (Accessed 20 September 2017). 3. Samantha Schmidt, “A ‘dreamer’ dies trying to save Harvey victims, days before Trump plans to end DACA,” The Washington Post. 5 September 2017. https://www.washingtonpost.com/news/morning-mix/wp/2017/09/05/a-dreamer-dies-trying-to-save-harvey-victims-days-before-trump-plans-to-end-daca/?utm_term=.8b9db448a1d8 (Accessed 19 September 2017). 4. Andrew Buncombe, “Mexican-born hero who drowned while rescuing Harvey flooding victims was part of ‘Dreamer’ programme Trump is scrapping,” The Independent. 4 September 2017. http://www.independent.co.uk/news/world/americas/us-politics/mexican-drown-alonso-Guillén-texas-flooding-victims-save-harvey-daca-programme-donald-trump-scrap-a7928956.html (Accessed 20 September 2017). 5. Univision, “Hallan el cadaver de Alonso Guillén, un dreamer que salió en lancha a rescatar afectados por el paso de Harvey en Texas,” Univisión. 4 September 2017. http://www.univision.com/noticias/huracan-harvey/hallan-el-cadaver-de-alonso-Guillén-un-dreamer-que-salio-en-lancha-a-rescatar-personas-tras-el-paso-de-harvey-por-texas (Accessed 19 September 2017).